Meral Akşener: An iron lady or an unrepentant nationalist? Meral Akşener became interior minister in 1996 after the notorious Susurluk accident, when a fatal car crash proved links between politicians, state security officers and organized criminals. Among the many politicians harboring the desire to run against President Recep Tayyip Erdoğan on June 24 is Meral Akşener, the only woman in the group. Portrayed as the "iron lady" by Western publications, including The Guardian, Time Magazine and The Newsweek, she is known for her strong character. She is no stranger to being the only woman around. She rose from among the overwhelmingly masculine Turkish nationalist movement. While the party she leads, the Good Party (İP), which was founded only last October, she is a very experienced politician, serving as the interior minister of the country between November 1996 and June 1997. She has been a presence in the right-wing movement for a considerable time. Having failed to dislodge Nationalist Movement Party (MHP) Chairman Devlet Bahçeli, she first created a splinter movement within the party and then quit and formed her own. By many in the West and in Turkey, she is seen as a perfect candidate who will be able to receive significant support from the center-right and right-wing electorate. Despite her evident right-wing credentials, she is also expected to attract the votes of secularists away from the Republican People's Party (CHP). At 61, she combines the experience and dynamism needed for a new leader. The other two mainstream opposition leaders have been around for a while. MHP's Bahçeli and CHP's Kemal Kılıçdaroğlu have been leading their parties for 21 and eight years, respectively, without any election success whatsoever. On the surface, she seems to offer a fresh face to Erdoğan's well-honed skills as a consummate politician. However, below the surface Akşener does carry a lot of baggage. She entered politics from the center-right True Path Party (DYP), being elected to Parliament for the first time in 1995 from the northwestern province of Kocaeli. The DYP was swept into power through a coalition agreement with the conservative Welfare Party (RP). The DYP, which represented the establishment, formed a coalition with the nascent RP that was slowly attracting growing support through grassroots activism, which would eventually lead to the formation of the Justice and Development Party (AK Party). However, at the time, the establishment, or more appropriately the "deep state," had all the controls. The DYP took the interior ministerial portfolio for itself. Those who know about Turkey in the 1990s know well how much normal citizens, and especially Kurds, suffered. These years are often considered as an era that when the deep state, consisting of politicians, police, military and intelligence officers, mobsters, far-right militants and shady businesspeople joined forces for illegal activities, including intimidation, murder and drug trafficking. Extrajudicial murders peaked. Senior DYP members were implicated in the crimes. A small cell of the organization was revealed in the notorious Susurluk accident on Nov. 3, 1996, when a fatal car crash proved links between politicians, state security officers and organized criminals. causing turbulence in Turkish politics. While Hüseyin Kocadağ, deputy police commissioner, Abdullah Çatlı, a famous suspect of numerous unsolved murders in Turkey and abroad, and a former beauty pageant winner were killed, DYP Deputy Sedat Bucak was wounded in the accident. Mehmet Ağar, then-interior minister for the DYP, had to resign after public reactions. Akşener, taking the post over from Ağar, said: "Elder brother handing over the post to sister." Still, unsolved crimes committed by the deep state kept piling up. She also has a bad record with hate speech. In 1997, she called Abdullah Öcalan, the imprisoned leader of the PKK terrorist organization, an "Armenian seed," during her speech in Parliament. She later apologized for the expression in a peculiar way. "I didn't meant Armenians living in Turkey. I meant Armenians in general," she said. Akşener continued politics under the DYP, which was ruled by Tansu Çiller, Turkey's first and only female prime minister, who was often criticized for undermining democracy by employing non-state figures such as Çatlı to carry out nonlegal operations. In 2001, Akşener resigned from the DYP and joined the right-wing MHP. The failure of her exemplars are another of Akşener's drawbacks. In Turkish politics, popular individuals that part ways with their parties are not usually successful. Emine Ülker Tarhan, a CHP deputy whose name was circulating for party leadership, resigned in 2014 by blaming the CHP's administration for their "wrong and weak policies." However, in three elections so far, her Anadolu (Anatolia) Party never achieved to surpass 1 percent. Likewise, late İsmail Cem and Hüsamettin Özkan, prominent figures of the Democratic Left Party (DSP) who became dissidents after the 2001 economic crisis, resigned from the DSP and became a co-founder of the New Turkey Party (YTP). But it only garnered 1.2 percent of votes in the 2002 elections, and dissolved itself in 2004. 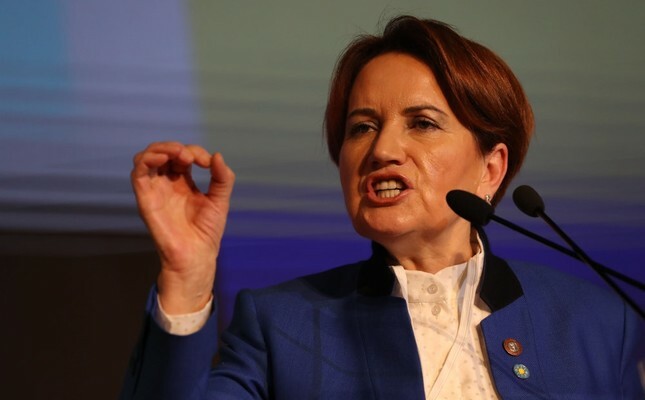 June 24 will be Akşener's first challenge. However, despite some pinning their hopes on her, recent surveys suggest that the İP probably will not surpass the 10 percent election threshold in the June 24 elections.